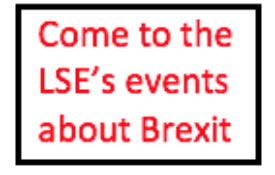 Business Europe hosted a panel of LSE experts for a joint seminar with business representatives in Brussels on 25 June 2018 to discuss the current state of Brexit negotiations. Professors Kevin Featherstone and Tony Travers talked about the political situation in the UK, and Professor Paola Conconi and Jan Kleinheisterkamp went on to discuss potential new UK-EU trade relationships. Elsa Leromain (CEP, LSE) reports on the proceedings. Two years have passed since the referendum, but a lot of questions remain unanswered. While the status quo outcome “Remain” was a fairly easy position to define, deciphering what “Leave” meant has proved challenging. There are an infinite number of possibilities, and the pro-Leave coalition did not have a coherent view on what route to take, as it brought together a wide spectrum ranging from liberal globalists to national protectionists. The government has stressed that post-Brexit they want Britain to be able to make independent policy with a high degree of autonomy, and specifically no jurisdiction for the European Court of Justice. This statement is subject to interpretation and is general enough to encompass a lot of different options. But time is running out: both Brussels and businesses are putting pressure on the British government to clarify its positions and take decisions. Are we at a deadlock in the negotiations? Will the UK government settle on a definite path? Where are we heading? To tackle these important questions it is crucial to understand the state of the political environment in the UK. To handle Brexit the government had to rethink its organisation, create new entities and increasing the scale of existing ones. The Department for International Trade was set up in July 2016 to assist the government in establishing UK trade policy, and negotiating bilateral partnerships with non-European trade partners. It currently employs an additional 800 officials. The number of civil service staff also increased significantly in other departments. HM Revenue and Customs has employed between 3000 and 5000 additional staff since the referendum, presumably to handle customs procedures. The nerve centre of the action of the government on the exit was concentrated in the Brexit Cabinet committee, previously run by David Davis – and now by Jeremy Hunt. The Cabinet Office, however, soon recognised that only a tiny number of people would have to take decisions on behalf of the UK government and took the lead in the negotiations, leaving less room for the Brexit Cabinet committee. “The Government will prioritise securing the freest and most frictionless trade possible in goods and services between the UK and the EU. We will not be seeking membership of the Single Market, but will pursue instead a new strategic partnership with the EU, including an ambitious and comprehensive Free Trade Agreement and a new customs agreement”. Crucially, this lacks detail, leaving it open to interpretation. It seems that no position can keep the coalition together long enough to get legislative empowerment for any decision that is made. When Davis and Boris Johnson resigned after the ‘Chequers agreement’, the divisions were clear. The second order negotiations will be challenging in themselves. In the preliminary stage of the negotiations with the EU, the UK government expected to be able to divide and rule, but faced a high degree of unity among the EU. They were surprised by the EU’s lack of flexibility when it came to defining the rules of a new partnership and their will to stick to existing rules and models and criticised their ‘lack of imagination’. They also did not expect the EU Commission to signal that the UK would be excluded from a number of individual sectors where there is an obvious mutual interest for the UK to continue (Galileo, Europol etc). Several options for a future UK-EU relationship exist, each with different rights and obligations. The UK government has emphasised the wish for an independent trade policy, a high degree of regulatory autonomy, no financial contribution to the EU , no free movement of persons, and no jurisdiction of the European Court of Justice (ECJ). The role of the ECJ has important consequences and binds together all the other requirements of the government. The degree of access to the EU market will depend on the compatibility of future UK market regulations with EU regulations, and the ECJ is currently the single guarantor for interpretation and compliance to these rules. The Chequers agreement envisages a ‘joint institutional framework’ in which the UK would pay ‘due regard’ to EU case law but not be bound by it. This rules out staying in the single market, the ‘Norway’ or ‘Swiss’ options. Adopting an agreement such as the one Norway has with the EU would provide high level of market access but it would imply free movement of people and the UK adoption of all the regulatory measures agreed in the EU, while not having any say in the decisions. Although the UK could have been tempted by the Swiss model, which relies on a number of sectorial agreements, the EU clearly stated that it was not a choice on the table outside the jurisdiction of the ECJ. The UK instead wants a ‘common rulebook’ with the EU, which would enable it to sell goods into the EU. Parliament could diverge from this in the future, but that would put Britain’s ability to trade freely with the EU in jeopardy. A free trade agreement with the European Union would allow the UK to pursue an independent trade policy. The UK would be able to set its own external tariffs and sign bilateral treaties with its non-EU trade partners. Free trade agreements differ greatly in their depth, scope, and effects on trade. It seems that the UK wishes to achieve a deep trade agreement close to the trade agreement between the European Union and Canada (CETA), sometimes refered to as ‘Canada plus’. If the UK government opts for a trade agreement with the EU, then the CETA is the best existing model and one of the most comprehensive agreements on regulatory alignment. To ensure coordination on sensitive issues such as technical barriers to trade, sanitary and phytosanitary measures, trade in services, trade and labour, there is a ‘regulatory cooperation forum’ (cf. Chapter 21 in CETA for more details). Ultimately this helps companies to know that whatever practice is acceptable in one jurisdiction is also acceptable in the other. In contrast to a customs union, rules of origin have to be defined in any free trade agreement. These are a set of the rules that prescribe which goods get the preferential tariff treatment. It often takes the form of a percentage threshold on the domestic content of a product. 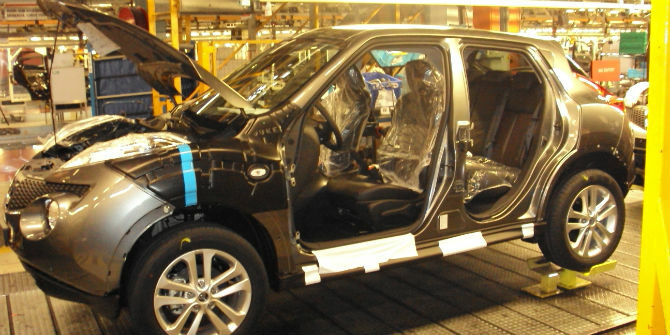 For instance, when exporting a car from the UK to the EU, a car manufacturer operating in the UK would have to prove that a sufficient share of the value of the car has been produced in the UK to qualify for preferential treatment. Currently, UK companies do not have to worry about complying with rules of origin. Small producers don’t rely on supply chains so much, but to the extent they do, they will be likely to decide not even to try to comply with the rules given the administrative costs it entails, and instead to bear the cost of the tariff. Big firms, which do have a lot of suppliers outside and inside the EU, would be greatly affected by such rules. Most Japanese car manufacturing companies currently use the UK as their base to serve the European market. Almost 80% of cars manufactured by Nissan at its plant in Sunderland are currently sold to consumers in the rest of Europe. Given they use a lot of imported intermediate inputs, their cars are unlikely to comply with the established rules of origin. If this is the case, they may have to stop importing key parts and components from abroad, or face a tariff when exporting their car to the single market. A recent paper by Paola Conconi et al. shows that rules of origin matter. The existence of such rules led to a sizeable reduction in Mexican imports of intermediate goods from third countries relative to NAFTA partners when the agreement was put in place. In the absence of rules of origin, trade between these countries would have been 45 percent higher. This is especially important for goods for which there was a big gap between the preferential tariff rate within the agreement, and the basic WTO ‘most-favoured nation’ rate (MFN). The implication of this, is that if the UK’s relationship with the EU is changed from a customs union to a free trade area, then it might have the perverse effect of reducing UK trade with non-EU countries, since at present, once non-EU goods or materials have entered the UK, they do not incur any additional cost when they are re-exported to the EU. Once the UK is outside the customs union, firms that export to the EU will need to keep their non-European inputs below the threshold. The devil seems to be in the details: what threshold of minimum domestic content is agreed on cars may, for example, determine whether companies like Nissan remain in the UK or move to France or Germany. The government should make sure that the rules of origin it negotiates with the EU as part of the new trade deal are as flexible as possible to minimise the distortion of global supply chains and the risk of relocation of multinationals. Finally, the ‘cliff-edge’ scenario cannot be excluded given time is running out. If no agreeement is reached, the UK and the EU would trade under the most-favoured nation terms available to all World Trade Organisation members. Goods traded would be subject to MFN tariffs and both border and behind-the-border non-tariff barriers would increase. This outcome would result in the largest increase in trade barriers between the UK and the EU. According to the UK government, in the case of a no-deal scenario, the UK will need 5,000 new customs officials with a comparable increase in demand for customs authorities of the EU27 Member States. The impact on businesses is also expected to be very significant in terms of time and resources. A report by the Institute for Government estimates that 180,000 British companies will need to make customs declarations for the first time after a ‘cliff-edge’ Brexit. The additional administration required to cope with this task is expected to cost UK traders around £4 billion a year. The certainty is that by March 29 2019, the UK will exit the EU, but the amount of change that will occur in the medium run will depend on the outcome of the negotiations. Then, the UK may enter a transition period in which the free movement as well as the rules of the customs union and the single market will be maintained. The UK will potentially be able to start negotiating new trade deals with non-EU countries. In January 2021, it will in principle be the end of the ‘temporary customs arrangements’ to a destination that it has yet to be defined. 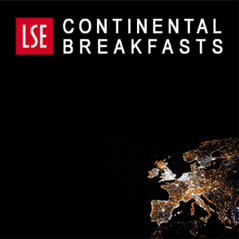 Dr Elsa Leromain is a research economist at the Centre for Economic Performance, LSE. Small but important point. “In the absence of rules of origin, trade between these countries would have been 45 percent higher. ” If you sign an FTA you have to have Rules of Origin to define what goods are eligible fior duty free access. But RoOs are inherently multilatera. UK cannot replicate impact of exisitng FTAs with 3rd countries without cumulation agreements between EU and 3rd parties. That sounds interesting. Why are Rules of Origin inherently multilateral? If the FTA says X% must be produced in country A to qualify for zero tariff to import into country B. Why would a 3rd country have to agree? I suppose you mean that if say countries A , B and C have identical FTAs with each other, and have the same rule that X% of value added must be produced within one country qualify for tariff free entry into another, then if a widget is X% manufactured in C and then imported into B, from where it is then exported finally to A, it must then be treated as a foreign component. And so it will save tariff costs if you can move whatever production process was in country B to country A. Whereas if B were still in a customs union with A, there are no Rules of Origin to worry about moving goods between them. So to replicate the regime under the customs union, each country has to agree to treat the other two as one ‘origin’. (so the Rule in the FTA between A and B is that X% must be produced in B OR C). Apologies if I was being too cryptic.I should have said that Rules of origin are inherently multilateral in a world of value chain integration. You have got it there. If UK signs an FTA with Korea that seems to be the same as we have now, engines coming from Korea will not count as UK content for export to the EU, and UK engines will not count as EU content for export to Korea. Unless cumulation is agreed. This requires not just agreement on RoOs in UK-Korea and UK-EU FTAs but for EU to modify its FTA with Korea to help the UK stay part of value chains. Barnier’s latest speech suggests this is not exactly an EU priority. All very well but I would be grateful if the author could quantity the wider impact. Under WTO, the Government would collect tariffs on imports and the EU would collect tariffs on exports. Because EU to UK imports are higher than UK to EU exports, there would be a net tariff gain to the UK. (Furthermore in terms of tariff income per head the inequality would be massive given that the EU population is so much larger than that of the UK.) The issue is how large would the tariff inequality be in comparison to the £4billion cost mentioned above? Would the net revenue be sufficient to allow the Government to give tax breaks to selected exporters that would offset their new administrative costs? To put this in perspective the Government would need to give tax breaks equivalent to £5000 per company per year to achieve this.